Have you heard about Boomerang Bags? I hadn’t until my friend Jo, who’s heavily involved in sewing them, told me all about this incredible movement. Boomerang Bags is a grassroots, community driven movement tackling plastic pollution at its source. Volunteers from all walks of life get together to make re-useable ‘boomerang bags’ using recycled materials, as a means to provide a sustainable alternative to plastic bags. Together Boomerang Bags links hands globally to create a paradigm shift to a more connected and conscious society. A few weeks ago I posted a picture of a few old tea towels that I’d discovered at the back of my cupboard with a comment that I’d probably throw them away. Jo immediately left a comment begging me to not throw them away but rather donate them to her Boomerang Bags group to be made into reusable bags. This got me thinking so I went right through my linen cupboard and found brand new tea towels I’d bought years ago (1980s!!) and took them along to Jo’s house and she kindly made them into Boomerang Bags. Now I can throw those original green shopping bags away. They’re so old and no doubt very dirty as they can’t be washed. At least with fabric Boomerang Bags they’re easy to wash.
Here’s my beautiful collection of Boomerang Bags 🙂 They all contain the Boomerang Bags badge as well as three little loops which allows the checkout operator to hang them on the metal frames where the plastic bags reside. My Mum sent me this tea towel in the early 1980s; that’s how long I’ve had some of these! I also gave Jo these more recent tea towels. I may even use this one as a project bag! 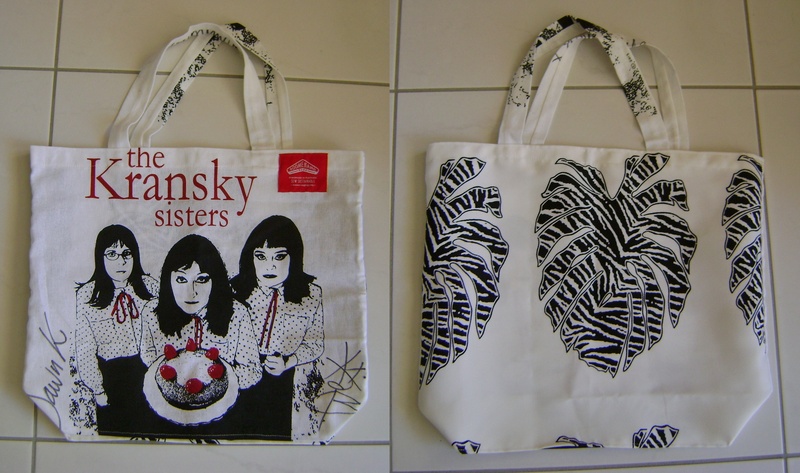 My friend Stephanie gave me this one of the Kransky Sisters after we’d seen one of their shows. 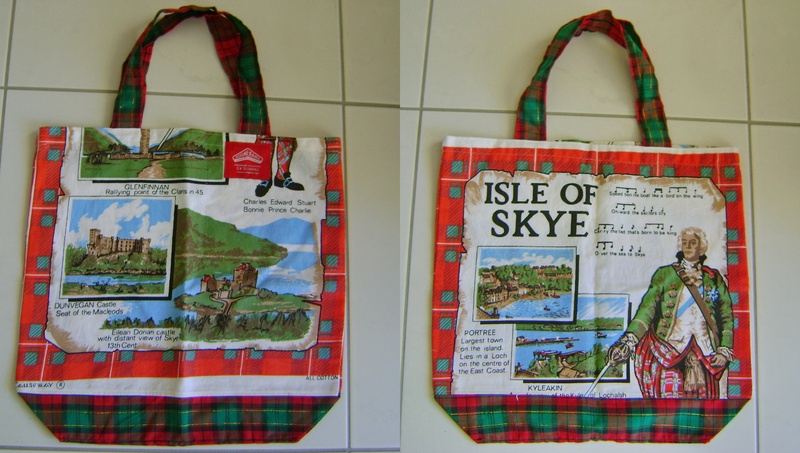 I just couldn’t bear to use it to wipe dishes so I’ve been hanging on to it and now I have lovely bag! Here are a couple more that I bought from Jo because I couldn’t resist them! If I enjoyed sewing I’d immediately volunteer to be a helper at Jo’s group so I’m going to do my bit by publicising Boomerang Bags as much as I can! There are groups all around the country that are crying out for volunteers. You can find out more on the Boomerang Bags website. However, if you live in the Wynnum Manly area of Brisbane, you sew and you’d love to connect with like-minded women and volunteer some of your time, you can contact me via the Contact Me page which is on the top banner of my blog page and I can put you in touch with Jo. 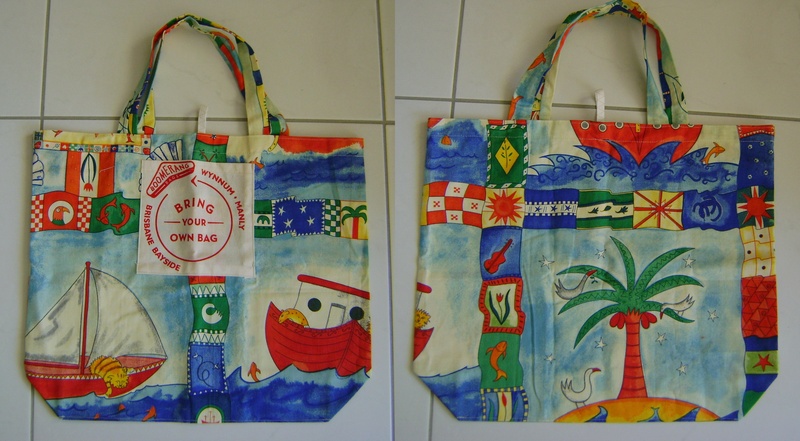 The Boomerang Bags groups are also after donations of suitable fabrics to make their bags, eg tea towels. cotton, poly/cotton, cushion covers. 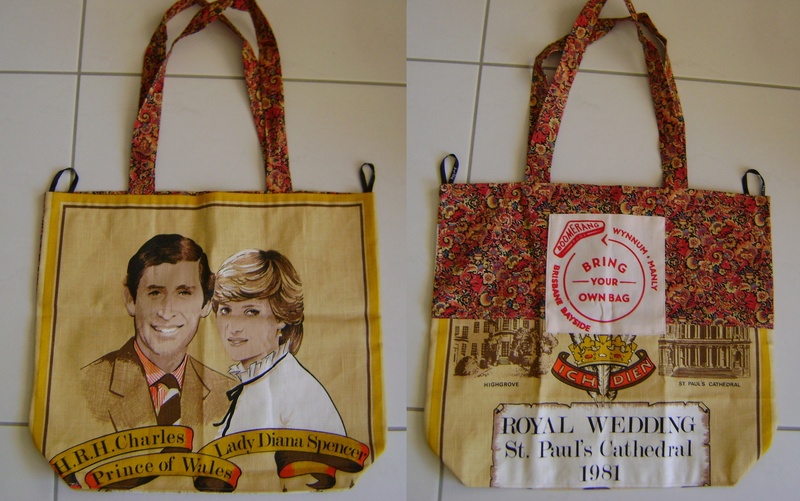 In fact if you think you’d like it as a bag it’ll probably be suitable. 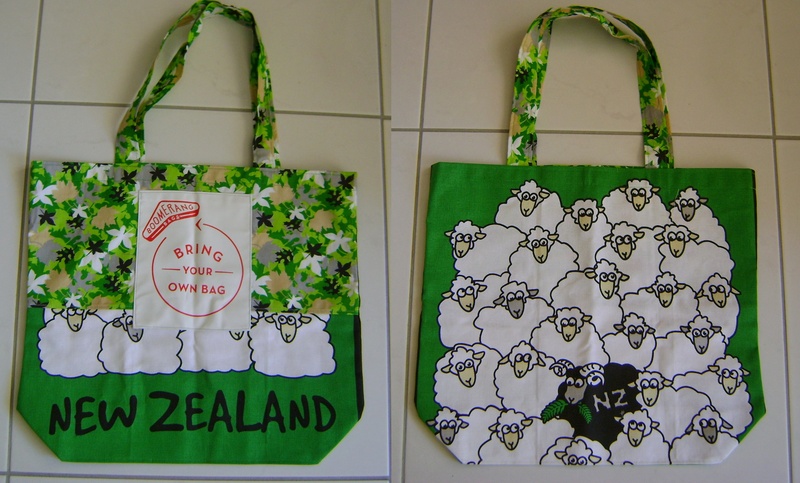 The bags can be given away to friends, family, colleagues, the bag-less stranger in front of you at the supermarket. They can be used to wrap presents in (I love this idea!) or stashed in your car and handbag so that you’re never caught without a reusable bag when you need one. However you choose to distribute your bags, the most important thing is to ensure that they’re distributed with a message…about waste, about sustainability, about community…make the connection and empower and inspire people to be part of the solutions! If there’s no Boomerang Bags group in your area, you can start one! Just visit the website where you’ll find the contact details of someone who will help you. Jo sells her group’s bags for $3 each which is very reasonable considering she uses some of her own fabric to complete bags, uses all her sewing machines (plus electricity), threads, ribbons, elastic, screen prints the badges and lots more. I know where my donation dollars will be going in the future!! I hope this story has inspired you to contact your nearest Boomerang Bags group and get on board with using less plastic and more fabric! !